God's Sign or Beast's Mark? The Archbishop of Canterbury, Justin Welby, described the retreat as a "miracle", saying that "until within 24 hours of it beginning we didn't know it was going to happen. The atmosphere has been extraordinary and we just see the hand of God in it." The retreat was proposed by Archbishop Justin and approved by Pope Francis. It would have been unthinkable even a few years ago. "We have a gathering at the invitation of the Pope, in the Vatican, with the Archbishop of Canterbury, and the former Moderator of the Presbyterian Church", Archbishop Justin said. "These are Churches that have been separated for half a millennium." ...I start with our Christian faith: that we believe in the God that raised Jesus Christ from the dead so all evil and darkness was finally overcome in the resurrection. And resurrection life overflows in ways we can't predict; so that there is always hope. And what we have seen in this last 24 hours is not a promise of change; but it is a reasonable hope of change." And I say also unto thee [singular], That thou [singular] art Peter, and upon this rock I will build my church; and the gates of hell shall not prevail against it. "The Sabbath is God’s SIGN, standing, more than any commandment, for OBEDIENCE.It was symbolically in the HAND and in the FOREHEAD, just as the MARK of the BEAST – the pagan SUNDAY – was in the right HAND and in the FOREHEAD! "SUNDAY observance – Christmas, New Year’s, Easter, etc. – this is the MARK of the BEAST! "The church did cause all under the “Holy Roman Empire” to receive this mark, during the Middle Ages.Not only were active church members caused to observe Sunday instead of the SABBATH, but it became a universal custom so that all the Western world – regardless of religious connection or belief, accepted Sunday instead of SATURDAY as the weekly day of rest. It has become universal in the Western world except for Judaism, Islam, a few sects in Christianity, and the comparative few whom God has called out of this world and into His true Church. The Second Vatican Council teaches that "the Church celebrates the Paschal Mystery every seventh day, which day is appropriately called the "Lord's Day' or "Sunday'" ( Sacrosanctum Concilium , n. 106). The cultural context in which we live, often marked by religious indifference and secularism that blot out the horizon of the transcendent, must not let us forget that the People of God, born from "Christ's Passover, Sunday", should return to it as to an inexhaustible source, in order to understand better and better the features of their own identity and the reasons for their existence. I hope we can see from the above letter how this mark, this branding that will take place, is not just Sabbath to Sunday. It also involves the Eucharist. It is the acceptance of the sun-disk of bread on Sunday that they claim places their Christ IN that Sunday and simultaneously places them into the body of their universal, broader church. 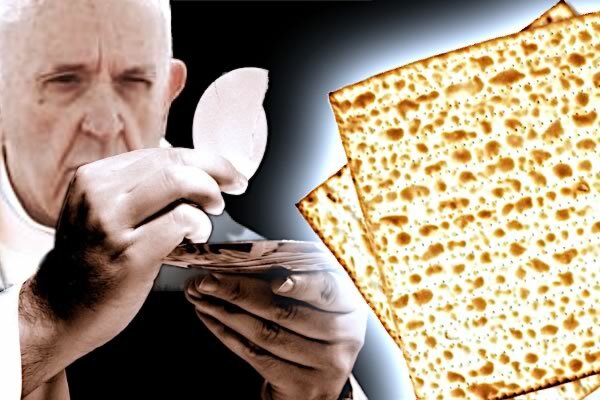 How interesting that it was the bread of Passover that was attacked so readily and so vehemently within the apostasy. It is undoubtedly why this issue seems destined to determine who will be counted as Christian in the future and who will be labelled as anathema from Christ. The Sabbath passing was the First Day of Unleavened Bread that ended Thursday sunset. The preparation day that followed was preparing for the weekly Sabbath and was the day they not only bought spices, but prepared them into ointments. Making ointment would require boiling. That takes time. And remember, such preparation was in addition to the normal Sabbath preparation of food etc — night 2 and day 2 — ending Friday sunset. ... this whole system of Gentile governments began with Nebuchadnezzar; and now we find the LAST RESURRECTION OF IT IS COMING UP. AND IT MEANS SOMETHING TO YOU AND ME. AND THE MARK OF THE BEAST IS SOMETHING THAT IS GOING TO BE ENFORCED, AND YOU ARE GOING TO RISK YOUR LIFE ON IT in the very near future. It is speaking of these very same things. 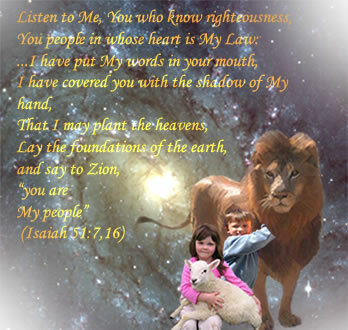 Jesus said, He that hath an ear, let him hear. And I say to you, if you have ears to hear, you BETTER hear; and you had BETTER UNDERSTAND. And don't take this lightly, because your life is going to be at stake. Fortunately, God has left us with probably the greatest human example of holding fast in the face of insurmountable odds to be found in scripture. Just as did Shadrach, Meshach, and Abednego, so must we be able to say that we are not going to bow down to this image of the Beast. We're not going to serve this satanic system! And we're not going to be branded with this day nor its Eucharist that they have fraudulently foisted on the world, because, quite frankly, they don't have the authority to change anything — certainly not the Sabbath, Passover and Unleavened Bread! They don't have the authority of the Apostle Peter. They don't even understand Apostleship. Peter wasn't even in Rome. In addition to that, as far as the resurrection is concerned, the only sign Christ gave was that He'd be three days and three nights in the heart of the Earth. That was the only sign of His Messiahship. He therefore died on a Wednesday evening, and was resurrected on a Saturday evening. By the time Sunday came along, He'd already been resurrected several hours before. So the very foundation on which they base the entire Sunday argument is false and flawed. “As soon as Jordan Peele’s smash hit ‘Us’ was released in theaters, hundreds of thousands of people started searching Google for Jeremiah 11:11. We are never told what it actually says, but it appears repeatedly throughout the film. …There is a lot of speculation that it was inserted for more than just entertainment value. Many have noted that the entire movie appears to be some sort of a metaphor for America as a whole, and even the title ‘Us’ could also be be interpreted as ‘U.S.’ if you just use a little imagination. In the end, perhaps we are making too much of a silly horror film. “By eating of the tree of the knowledge of good and evil, Adam chose the way of self-acquired knowledge. It was Satan who influenced Adam, through Eve, to make the wrong decision. Satan now influenced everything Adam did. It was Satan who influenced Cain to kill Abel. More to the point, two major western dams show disturbing signs of potential failure that may bring on unprecedented disasters. The Oroville Dam on the Feather River north of Sacramento — the highest earthen dam in the US — nearly blew out in February 2017 when record rains damaged the main spillway, threatening to send a 30-foot wall of water downstream towards California’s capital and towns along the way. Now, two years later, new cracks have appeared in the repaired Oroville Dam main spillway. The Sierra Nevada snowpack stands at 153 percent above average, and the National Weather Service predicts that weak El Nino conditions with above-average Pacific Ocean temperatures are likely to produce above-average rainfall this spring along with the snowpack melt. The Fort Peck Dam on the upper Missouri River in Montana is likewise troubling experts watching a record snowpack in the Rocky Mountains. It too is an earthen dam — the world’s largest by volume — filled with hydraulic slurry. Because it is located on the flat high plains, the dam is extremely long, running 21,000 feet — about four miles — from end to end. Behind it is a reservoir that is the fifth-largest man-made lake in the nation. “Infectious diseases — some that ravaged populations in the Middle Ages — are resurging in California and around the country, and are hitting homeless populations especially hard. Hepatitis A, also spread primarily through faeces, infected more than 1,000 people in Southern California in the past two years. Infectious diseases — some that ravaged populations in the Middle Ages — are resurging in California and around the country, and are hitting homeless populations especially hard. Back in the book of Hosea, we are told that… “Strangers have devoured his strength, and he knoweth it not” - talking about Ephraim – but Manasseh has the same problem. A huge sum of money, $148 billion, taken out of the US economy to support people in other nations. America has killed more than 60 million children since Roe vs Wade was decided in 1973. According to the CDC, approximately 110 million Americans have a sexually-transmitted disease right now. According to the United Nations Population Fund, 40 percent of all births in the US now happen outside of marriage. But if you go back to 1970, that figure was sitting at just 10 percent. At this point, approximately one out of every three children in the United States lives in a home without a father. Approximately one-fourth of the entire global prison population is in the United States. By the time an American child reaches the age of 18, that child will have seen approximately 40,000 murders on television. Over half a million people are homeless in the United States right now, but more cities than ever are passing laws making it illegal to feed them. 37 million credit card accounts in the US are “seriously delinquent” at this moment. According to the Pentagon, 71 percent of our young adults are ineligible to serve in the US military because they are either too dumb, too fat or have a criminal background. During one seven day stretch last summer, a total of 16,000 official complaints were submitted to the city of San Francisco about piles of human feces littering the streets. When you include unfunded liabilities, the true size of our national debt is 222 trillion dollars. What we are doing to future generations of Americans is beyond criminal. Suicide is now the second leading cause of death for Americans from age 15 to age 24. The number of American babies killed by abortion each year is roughly equal to the number of US military deaths that have occurred in all of the wars that the United States has ever been involved in combined. One very shocking study found that 86 percent of all abortions are done for the sake of convenience. “Washington’s not only losing its economic & military power but also its soft power that rested in the propaganda. What comes next? Since 2016 the United States has been in the Russiagate box, a hoax created by the US military/security complex to prevent President Trump from normalizing relations with Russia. Normalized relations would devalue THE RUSSIAN THREAT, an orchestration that protects the $1,000 billion annual budget of the military/security complex. The Democratic Party, which most certainly is not democratic, supported the hoax hoping to do Trump in for their own reasons and pulled the presstitute media into the conspiracy against Trump. The succession of these stupidities is destroying America’s reputation. Meanwhile, other countries moved on. The Russians, for example, discovered that Washington’s sanctions had a silver lining. Russia became more self-sufficient economically and moved out of the box of being an exporter of raw materials to the West, a box into which the Americans and the American-brainwashed Russian economics profession had put the Russian government. The fulminations and threats from Washington against Russia brought forth new Russian weapon systems for which the US has no match or defense, weapons that demote the US to a second-rate military power. On an adjusted basis, China now has the world’s largest economy and increasingly ignores Washington’s blustering. As does Iran. Even Venezuela stands up to Washington. The world is concluding that Washington is not the power it thinks it is. President Franklin D Roosevelt was happy to see World War II because he understood that it would leave Britain bankrupt and without an empire. Roosevelt understood that the gain would be America’s, because the US would take over the reserve currency role. The reason this is important is that the reserve currency country can pay its bills by printing money. Thus, the government has no budget constraints. For a country as indebted as America, to lose this role would be a crushing blow. It is this blow that Washington faces as a result of its idiotic policy of sanctions and disrespect of international law. And there is another blow. Just as the Roman Empire fell to invaders who crossed the frontiers of the empire, so is Washington’s empire falling. Europe, the crown jewel of the empire, is now overrun with millions of unassimilable peoples to the extent that Europe is no longer European. The President of the US has so far been powerless to defend the borders of the United States. Indeed, the Democratic Party and the presstitute media are totally opposed to any defense of American borders. Why does a government unwilling to defend its borders, spend $1,000 billion annually on defense? What Has Happened To The America We Grew Up In? Is The Demise Of The Euro Inevitable? When we look at Europe, we also see chaos and confusion. 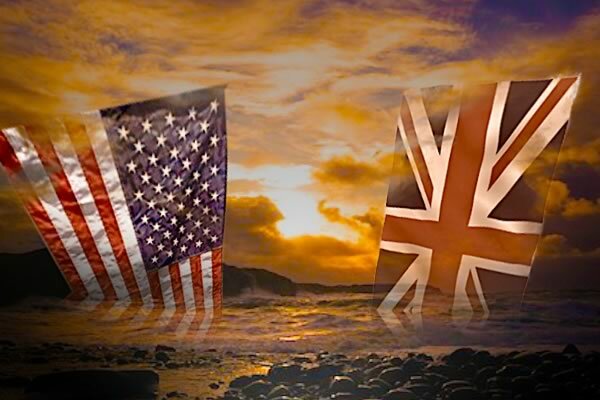 “…I can see now the event that is going to trigger the formation of reunification in Europe… Well, now I think I can see what may be the very event that is going to trigger it and that is the economic situation in the world. Meanwhile, in Britain, the Brexit crisis goes ON and on and on and on… Seemingly endless! “Mrs May presents the demands for a new vote and a rejection of her deal as leading to economic chaos and collapse. She may yet win support as Angela Merkel and other EU leaders have said there can be no renegotiation. This is the only deal on offer. Companies like Airbus and Siemens are stockpiling millions of spare parts. Even if the deal is agreed, the EU and the UK have to negotiate a completely new arrangement covering everything from trade in goods and services, aviation, to data protection, police cooperation, and human rights. This will take years during which time the UK will de facto stay part of the EU even if formal political membership ends [in] March. Defeat And National Captivity Come Next! As God’s endtime Apostle pointed out, the solution to all of mankind’s problems is at hand! How will this dramatic change be achieved? In the beginning, Adam rejected the tree of life, representing the Holy Spirit. When Christ returns, He has promised to … “pour out My Spirit on all flesh” (Joel 2:28)! The big lesson that mankind has to learn is that they cannot rule themselves. All forms of human government end in disaster. 6000 years of human history backs that statement up!